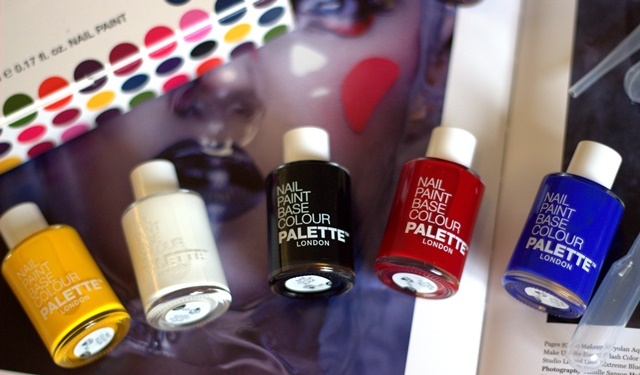 Last week I saw the launch of an amazing new brand, I know I say that about a lot of beauty brands but this is one of those moments when I thought, ‘I can’t believe this hasn’t been done before.‘ Palette London already houses a gorgeous ready-to-wear selection of nail polish which includes gloss finish, textures and even scented top coats. The gel based formulas are hard-wearing and durable due to some key ingredients such as Shellac and lots of enriching vitamins. So with a base coat, colour and top coat you are set to go without having to set under a UV light. In this kit you get the three primary colours along with black and white, the shade possibilities are endless with just these five shades. You also get five pipettes and empty nail polish bottles so you can create five of your own polishes which you have mixed up yourself. I had a go at the launch and it was so much fun! Chatting away to other beauty bloggers (who are of course beauty addicts themselves) whilst mixing whatever shade you want, if it’s too dark you add a little white and if it’s too light you can darken it with some black. The key is to make sure you write down what you have mixed otherwise you could mix your perfect shade but may not remember how you got it! This Create Your Own Kit is £50 and you can get a smaller kit with just two empty bottles for £25. Before you ask refills for the primary colours, extra empty bottles and pipettes are all available! 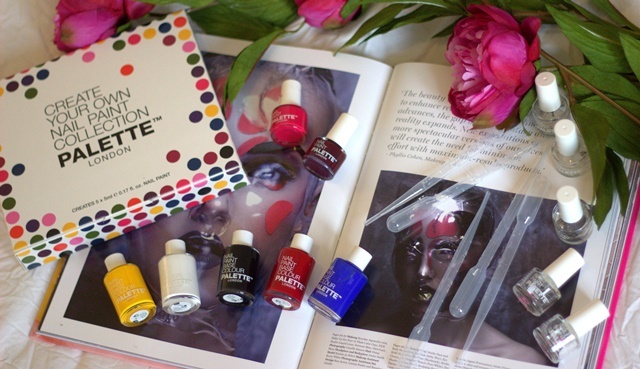 For extra special occasions or just a beauty addict day, Palette London also offer an exclusive bespoke service. So you can send in a fabric swatch, a bag or a lipstick and their expert colour matcher will mix up the exact shade for you, by hand. 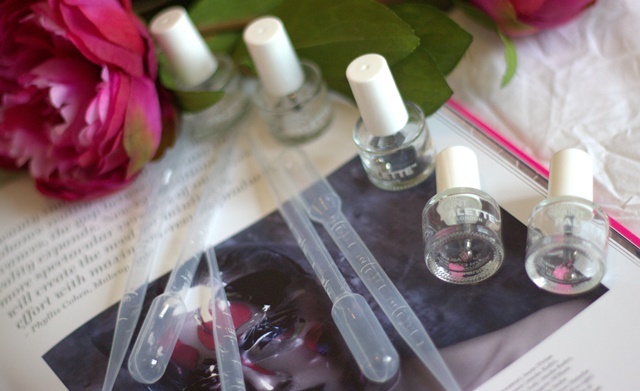 You will then receive your bespoke nail polish shade in a full size bottle in just two weeks and anywhere in the world! Obviously if you do not want to send in your favourites Louboutins or wedding outfit they can work off an image. Don’t forget to enter the big birthday giveaway to win all four Naked Palettes here!